We have a full size open arena and a smaller covered arena available for rent to host your next equestrian or livestock event. 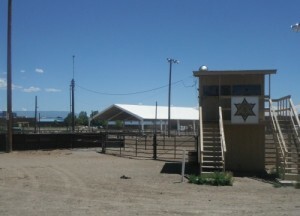 Our facilities include the use of a roping chute, steer run, lights, water, crow’s nest and bathrooms. Book your events early to ensure you get the dates you need. Open Arena cost for all day use is $250 and half day use is $150; however, if lights are needed there is an additional $25 fee. 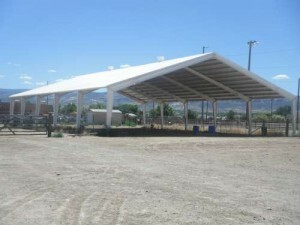 Covered arena approximately 80ft x 100ft all day use is $100 and half day use is $75. All rentals require a $50 deposit. Click here for the Arena Rental Contract.